&nbsp;Think for second; the owner of a multimillion-dollar business empire, who can access any form entertainment whenever he would wish, why would he entertain himself with puzzles? According to Gates, he likes it. The obstacles in the puzzles, not only reduces the stress but also gives the strength to handle them and makes you realize that there are many more things left to do. Their challenging quandary gives the brain a chance to relax. From the beginning of every new day, new challenges start building themselves up. The moment we wake up, the brain starts getting assignments for the day’s work.&nbsp; In fact, when we are asleep at night, even then, through the dreams our brain is trying to churn and organize everything that has happened during the day. The ever working brain yearns for challenges and the perplexing puzzles does this work the best. Through them, the nerve of our brain gets a great work out session. 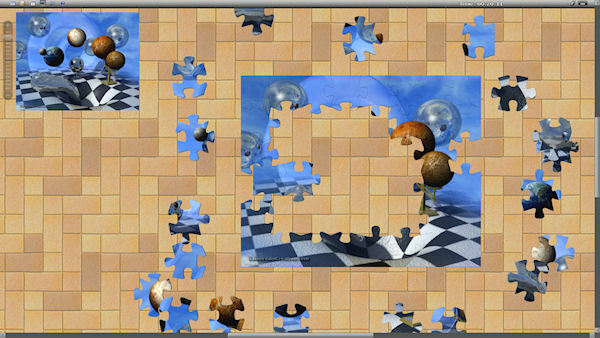 It is a unique way to spend the time by solving puzzles. The interesting concept of the questions and their complexity is what that prompts us to solve the puzzles.&nbsp; An excellent puzzle is like a thing that is pleasant, candid, satisfactory and pellucid. In which nobody lies. They are vivid and the puzzles are dependent on you, it is your necessity to solve them. Puzzles are no less than an educational plaything.&nbsp; A brain is made to solve the riddles of information, and so it loves puzzles. Have you ever noticed that whenever a person sees an object for the first time, the first question is always, "What is this?" Puzzles are a form of inducements. This inducement is attached with a person's self-satisfaction, something that motivates to solve them. When you find the solutions for those puzzles, you feel like a conqueror. It does well in satisfying one’s self-esteem. Do not try to get to know the whole world within the first try. It is a very difficult thing to do. There is a possibility that you will get tired and will drop it in the middle.&nbsp; So, try to solve a small portion of it. Even better; create your own world, in which there can be interesting elements and rules- a game, a puzzle, a principle, a revelation. This revelation could be the disentanglement of the puzzle. After this revelation, a person can return to their day-to-day life with the confidence that they made a day, which was meaningful, and that they were a conqueror. The brain has an excessive need for mental challenges, and the meal of puzzles keeps it active and healthy. So, was your meal of the day fulfilling? Totally agree with the article. It really takes the person into another world. This addiction is better than those of video games and tv. Because in things such as video games, even though one is active, they become aggressive. Very nicely written, solving puzzle enhances your creativity and helps to increase concentration. i love sudoku and you know i am quite good at it. You are absolutely right, they really are a good source to help increase one's creativity and concentration. Good point. Yes - it was partly fulfilling but could have been better. More and more I find that what I read by myself, or watch in the form of TED talks on youtube is far more stimulating for the brain than useless chatter, or badly prepared talks. 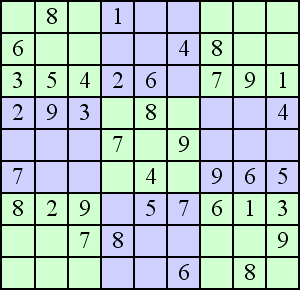 Solving puzzle gives an exercise to brain. Solving puzzle gives satisfaction and confidence that yes I can do it. Thank you for sharing.